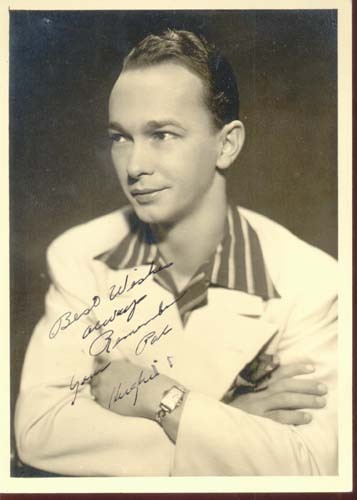 Photo & autograph Hughie Hendrixson. On the front it says Best Wishes always remember your pal Hughie in marker type pen, & on the back in pencil Best Wishes Always Don't forget your pal Hughie Hendrixson. 5 x 7", Mint condition. 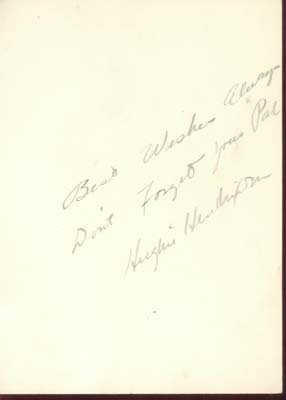 Items Similar To "Photo & Autograph Hughie Hendrixson"